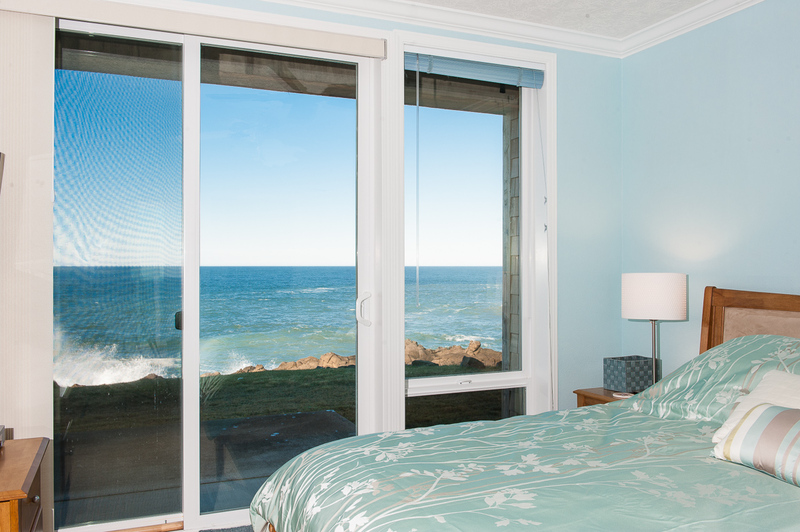 Oceanfront Views of the Oregon Coast with the Comforts of Home. 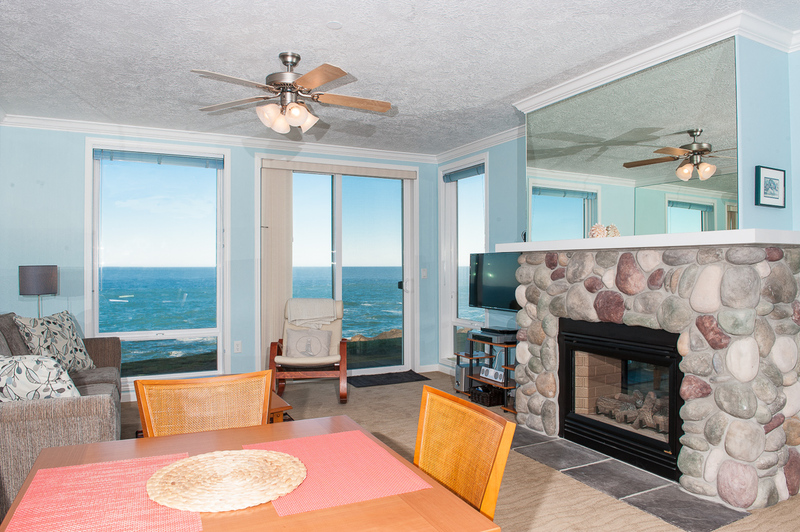 With the windows and patio just feet from breaking waves, Ocean's Melody is a favorite getaway destination for those seeking spectacular oceanfront views of the Oregon Coast while enjoying a quiet and relaxing vacation condo complemented by the warmth of a two way gas fireplace. Tastefully furnished, this exquisite condo includes plasma/LCD televisions in both the living room and bedrooms, Blu Ray/DVD and a collection of puzzles, games and books for your entertainment pleasure. 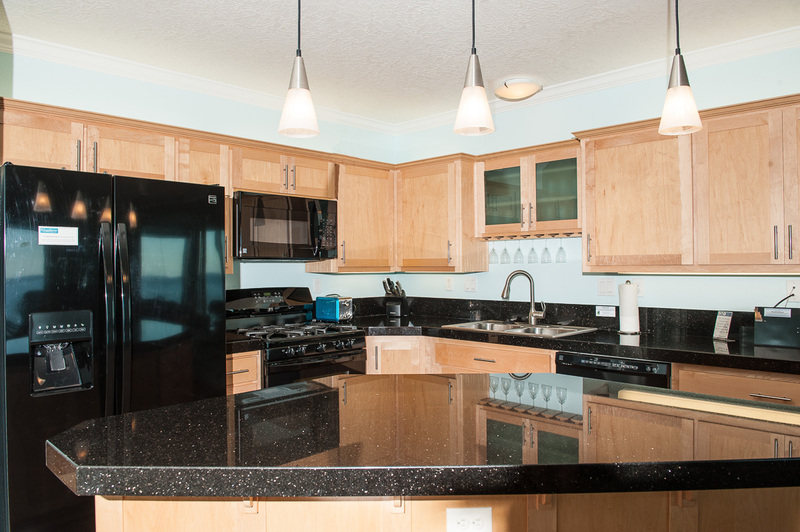 Additionally, a fully equipped kitchen with granite counter tops awaits those who want to dine with a view. After a relaxing day of enjoying the many activities the central Oregon coast has to offer, find rest and relaxation on the king bed located in the master bedroom while the sounds of the Pacific lull you to sleep. 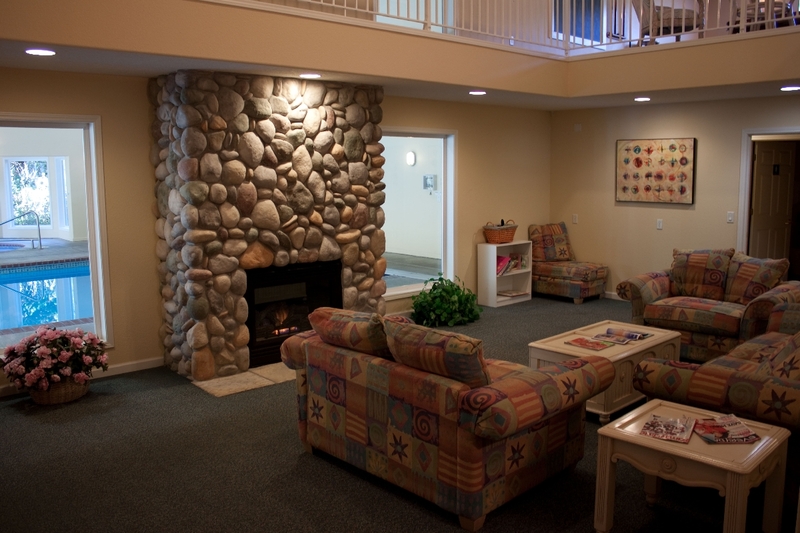 For those not quite ready for slumber, a two way fireplace and LCD television are conveniently located in the room. The condo also has a second bedroom with a queen bed. 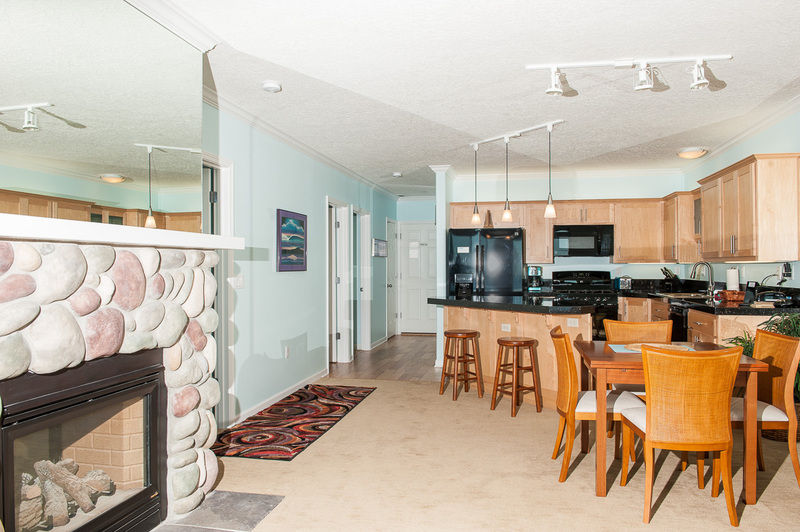 When staying at this vacation rental in Depoe Bay, you will also have free access to wireless internet and the Clubhouse which features an indoor pool, hot tub, fitness center, pool table and 19-seat theater room. *Please note peak season and holiday check in day restrictions may apply. "We went to the coast expecting stormy weather in February. What did we get, sunny days with little wind until the last night when it snowed. 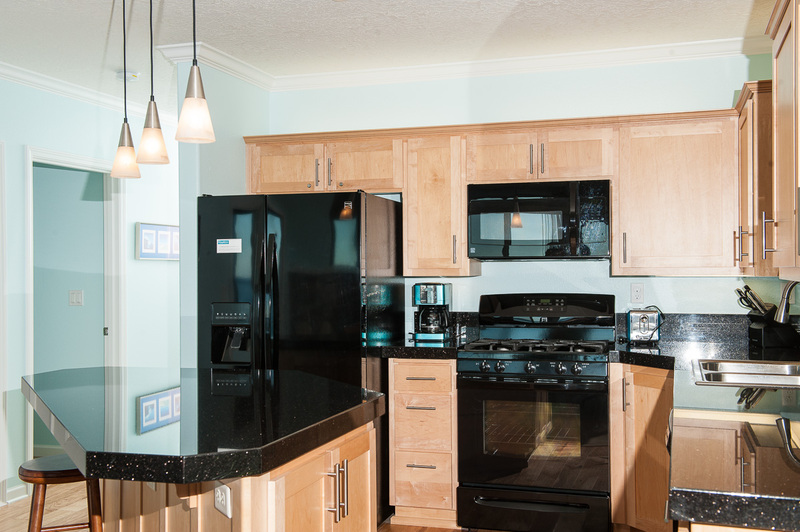 We always enjoy our stay at North Pointe and our unit was perfect for a three weekend getaway. The kitchen is well equipped and very clean, as is the rest of the unit. We did see a whale and some daring kayakers! Had a Great time." Glad you were able to enjoy that great weather we had! "My friend and I stayed here for our 9th annual get-away and we both agreed this was hands down the best place we’ve stayed. 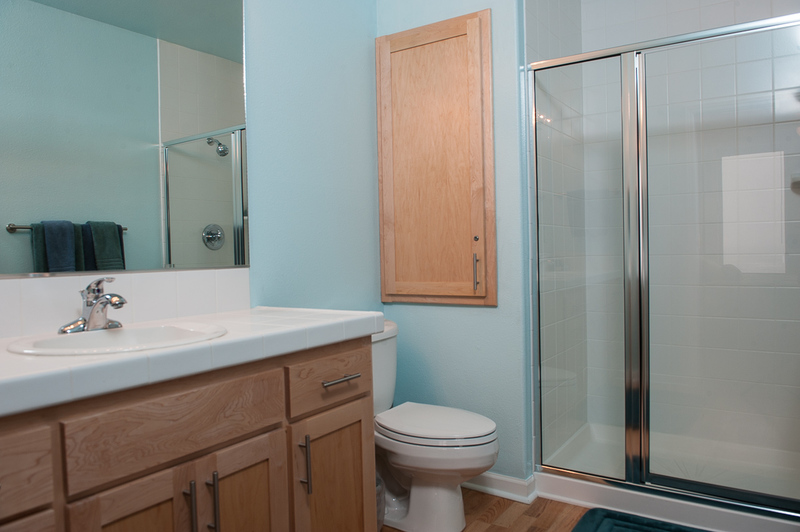 The unit feels brand new and was homey and comfortable. The kitchen has absolutely everything you can think of for cooking and then some! We were so impressed with all the attention to small details throughout the place of things, everything one might need from spices in the cupboard to plenty of accessible power outlets, and cupboards filed with books, movies and board games. The whole place felt like a loved and well cared for home and was absolutely spotless. Then there is the view!!! Stunning full view of the ocean thundering against the cliff edge just 25 or 30 feet away." 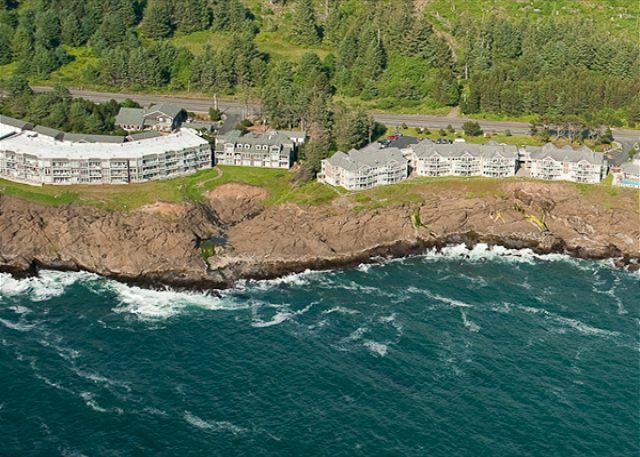 We enjoyed hosting your get-a-way at our Depoe Bay vacation rental and are thrilled you enjoyed your time there! "Absolutely stunning view from the condo. We saw so may whales from the patio and didn't need to take a boat out for a tour. I will stay at this location again since everything was clean and organized." 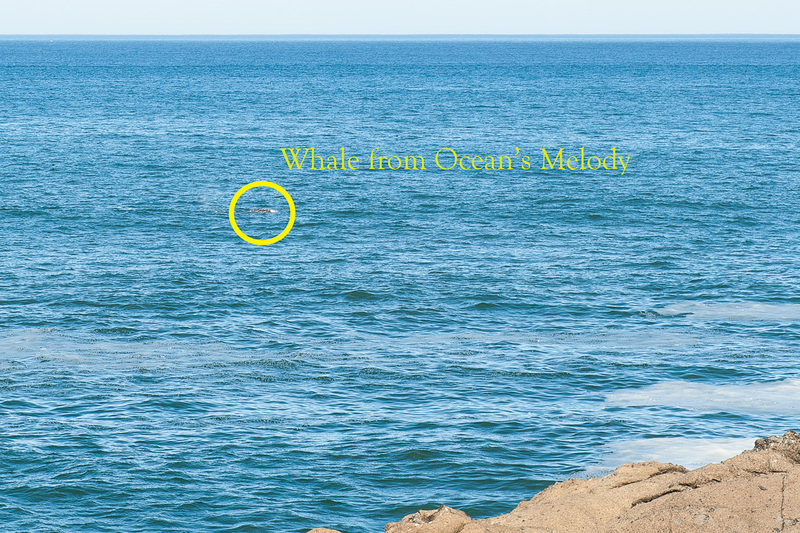 We love hearing about how many whales are seen from our condo and glad you spotted them. Look forward to having you back again! "This rental was delightful, just as described, very clean and well maintained. I would highly recommend this property to friends. We had wonderful sunny warm weather, saw so many whales. We had excellent seafood at Tidal Raves and Surf Rider restaurants." Appreciate the great comments and we too love Tidal Raves! "Beautiful, new units with great amenities. And we saw whales every day just off shore feeding. We want to return." The whale activity this summer has been fun to watch and happy to hear you enjoyed your time at our Depoe Bay vacation home! "We thoroughly enjoyed our stay at Village at North Pointe -Ocean's Melody. The condo was so clean and had everything we needed during our stay. The view from the condo is spectacular...we saw whales every day!! Would stay here again and would recommend it to our friends." Appreciate the recommendation and thank you for staying with us! "My sister and I took my mother for a weekend getaway. The condo was perfect, clean, beautifully decorated and quiet. The complex was easy to find and not far from the hub of Depoe Bay. 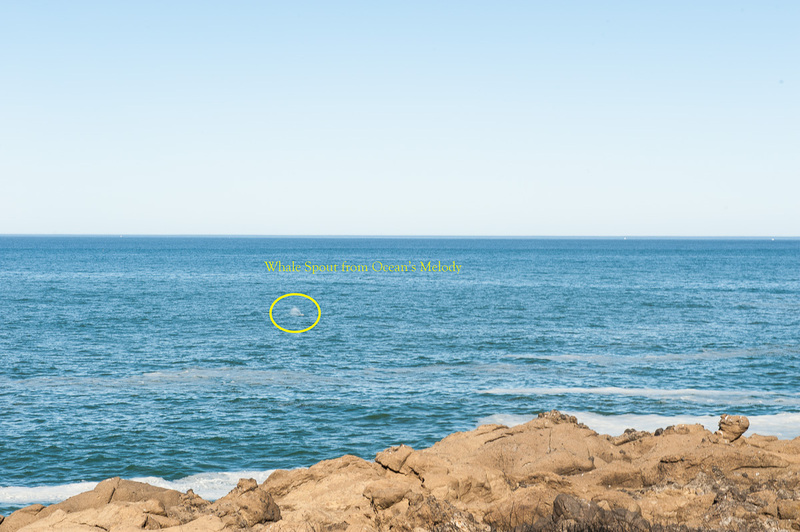 We spotted two whales which made our day. We will definitely come back." We are glad your weekend getaway turned out so well! "The condo was clean and roomy with an exceptional view. Bedding was comfortable and the panoramic view was phenominal. No air conditioning, but that just forced us to open the window and get the fresh ocean breeze. The kitchen was stocked with the food basics, which was nice. The color scheme and lighting created a relaxing atmosphere." Please to hear you enjoyed the condo! Most properties along the Oregon Coast do not have A/C as the temperatures stay fairly moderate. "Great place to get away. The condo was clean, and had everything we needed including beach towels and washer/dryer. The view was incredible and we saw a few whales right from the comfort of the fireplace. 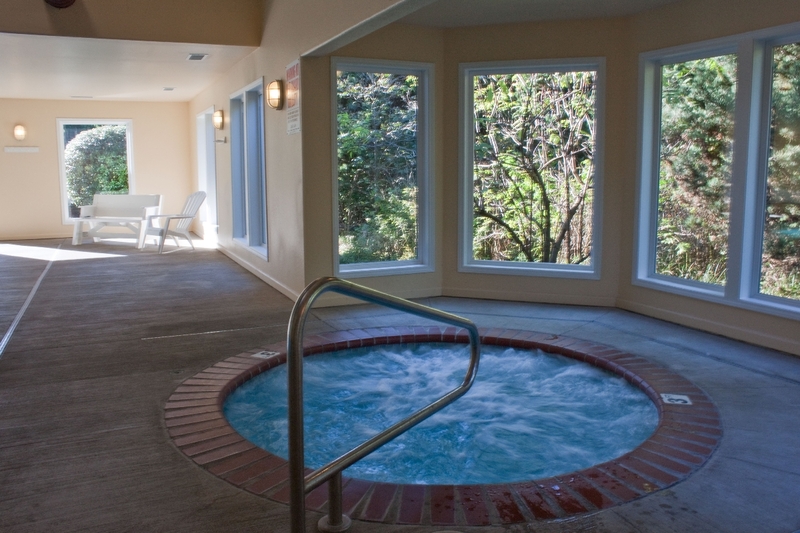 The pool and hot tub were very clean, and both of them were well heated." The whales have been very active this week and please you were able to see them at play! "This was our 3rd trip to Depot Bay. We had the whole place to ourselves. Quiet, relaxing, close to shopping, restaurants and beaches.the condo was clean and well maintained. I would recommend staying here to all my friends and family"
Thanks and glad you stayed with us again! "Love, Love this place. The view is terrific, what a wonderful time we had. 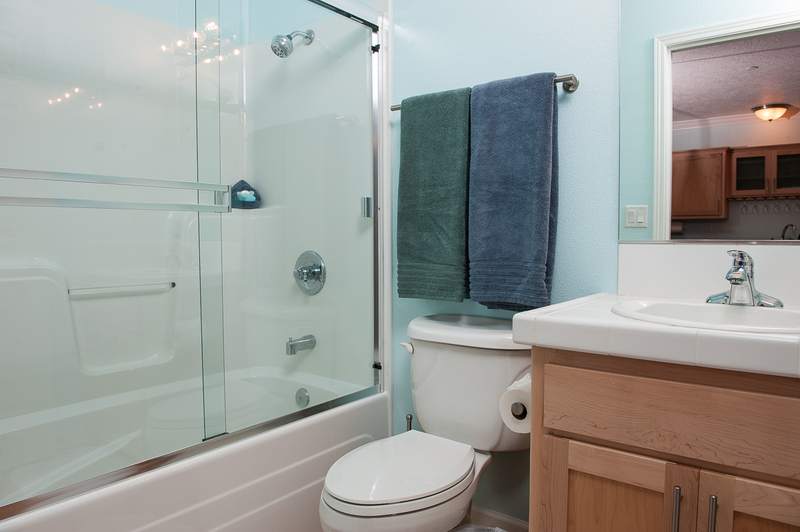 The rental is always very clean and well taken care of for your stay. Everything you need to cook while you are here, besides being close to great restaurants for eating out. Very comfortable accommodations. What more can you ask for?" "We stayed at this unit for two nights. We made the right decision to choose this units. Clean unit, beautiful view, a comfy bed and more. The property was clean and well-maintained. We will recommend this property to our relatives and friends." Thanks for choosing to stay with us! "Ocean's Melody was exactly what we needed and more! The views were amazing, the place was very clean and welcoming. Everything we needed was there! Got to see whales for the first time right outside our patio door! Now I know why it's called Ocean's Melody because that is all you hear when opening the sliding doors. Looking forward to another stay!" "Very relaxing getaway. No disappointments and plenty of whale watching. I would recommend this getaway to others." "We had a great time, and our friends saw many whales. They were delighted"
"After decades of visiting other areas of our favorite coast line we returned to Depoe Bay. I love being on the rocks. The cleanliness made it very comfortable. The kitchen was very complete. Found a utensil to meet our every need. We liked being able to walk into town. Even hiked all three of the trails. For salt water taffy - Ainslees. Lunch at the Tidal Rave was excellent." "Loved it, the views were great, it was clean and had everything that you would need for a nice stay." "We had a wonderful and relaxing time! So enjoyed the beautiful views and lots of sea lions. No whales this time but saw them last time. Beautifully decorated and kitchen was amazing! Loved the double fireplace and comfy bed too." "This home is absolutely beautiful and very well maintained. Between having every appliance imaginable to every cooking utensil you would ever need, this home has it all. 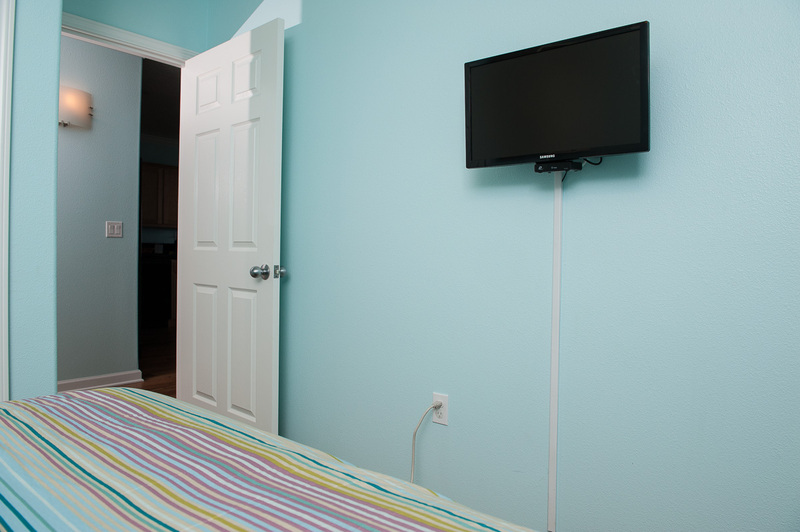 The beds are so comfy, rooms are very spacious with plenty of storage and the bathrooms are stoked and very clean. The room sits right on the ocean and we got to enjoy the whales right out front. 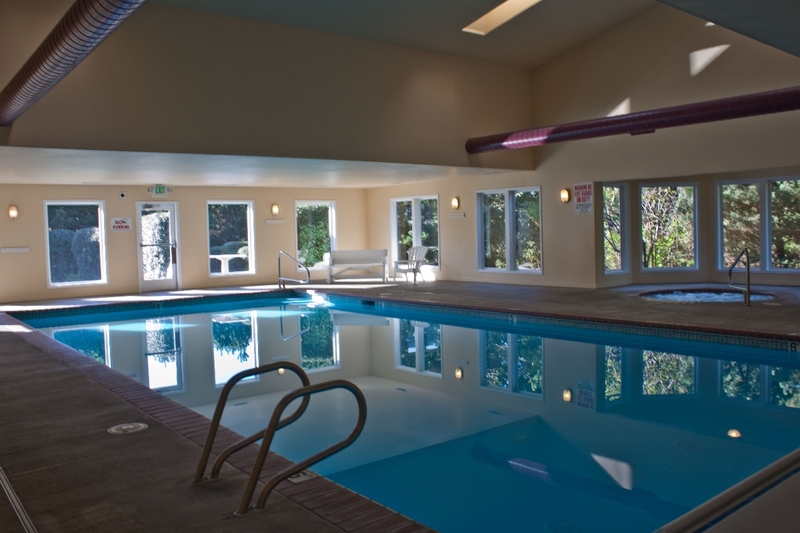 The pool/clubhouse is very close to this unit and was a lot of fun being able to play pool, swim and enjoy the hot tub. The management company is very quick to respond to bookings and was very precise in arrival instructions. My wife and I will certainly be back time and time again!" "Oceans Melody definitely fits this condo. You can sit for hours watching the ocean and feeling those waves move in rhythm. Beautiful condo, very clean, great location, beautifully furnished. We enjoyed our stay immensely. And on the last morning we saw a couple whales too!" "This place was absolutely perfect. It was exactly what we wanted. Location was key. We were centralized and everything we wanted to see and do was very close. The condo was perfect and the king bed was awesome! Was a nice home away from home. We will definitely be back!" 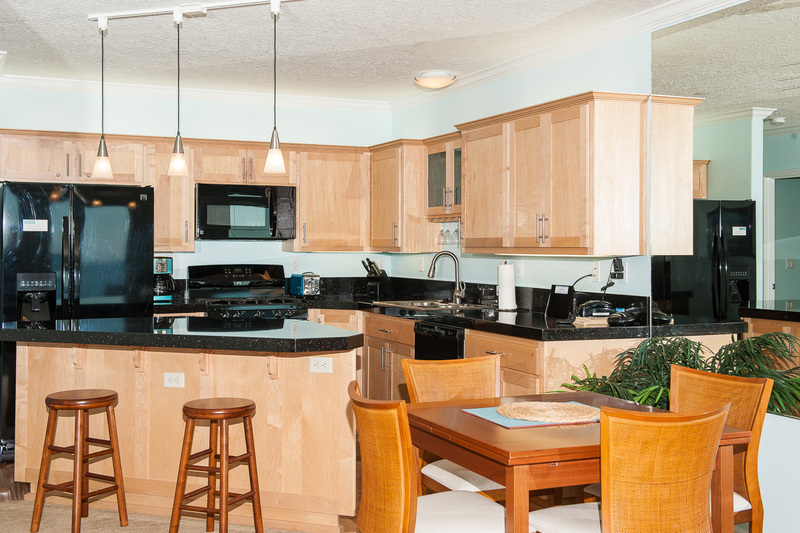 "We have stayed at Village at North Pointe many times and have never been disappointed. On this occasion, we had scheduled a fishing trip for the day after our arrival. The weather caused that trip to be cancelled. This location is ideal for side trips to either Newport or Lincoln City (Newport being our favorite for the wonderful views and points of interest along the highway, Yaquina Head Lighthouse, Bayfront, public fishing dock, and marina activities). We like Depoe Bay's small-town atmosphere and have met some really wonderful people at O-Downey's Irish Pub, Mazatlan Family Restaurant, and Dockside Charters. We were able to see quite a few whales just outside this condo unit and found ourselves mesmerized by the ocean waves and beautiful sunsets. Reservations are easy and staff has always been personable and efficient. 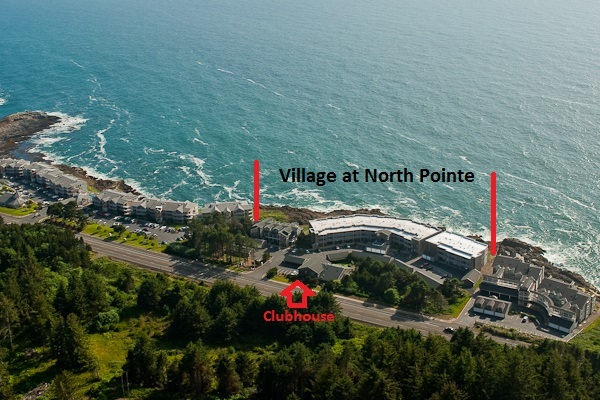 We highly recommend the Village at North Pointe in Depoe Bay." "I had a hard end of the Month at work in July and just needed Quite time way and there was no better place than this. I was very quite, slept late and got up by the sound of the ocean. We were able to cook a wonderful dinner and sit out side. I swim everyday in the community Pool that was very clean. This was a wonderful time away, I plan to come back next year. I love that everything was as stated in the online add, even better thank you for keep this place so nice and comfortable and thinking of everything as the place was completely equipped with everything you needed. If you need quite time this is your place!!!!!!!" "The best vacation we've ever taken! All the comforts of home, but overlooking the ocean and watching whales in a prime location to visit Oregon coastal towns within a day trip. Terrific villa! Easy dealings with rental management, villa as described. Would definitely stay here again!" "Gorgeous ocean view with breaking waves and whale watching. Condo was wonderful - very clean, well furnished and organized in a quite, convenient location. Property description and pictures were very accurate. Would recommend this property and definitely would like to return." 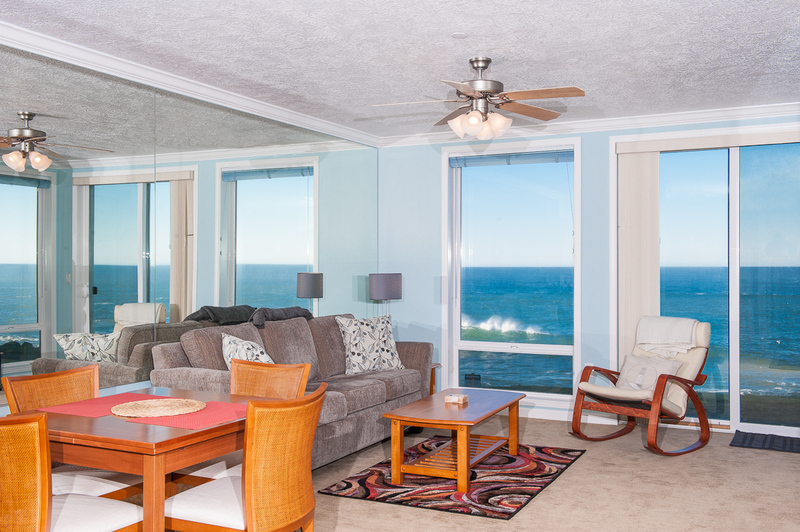 "We loved the condo and the fact that it had a beautiful and fun view of the ocean. We saw whales almost everyday. It was fun. Enjoyed the area again. Kitchen had everything." "This condo unit was beautiful. It is spotless, bright and cheery with a fantastic view right on the water. We saw whales multiple times daily. The location is very convenient and is only 15 minutes to Lincoln City and 20-25 minutes to Newport. Short 10 minute walk to Depoe Bay center. I recommend this unit highly." "This is a lovely condo with an amazing view. The pictures do not show the new modern ceiling fans with remote controls or the new reclining leather chair with ottoman, all of which were a nice addition. The owners have done an excellent job keeping the condo organized for their guests and we very much appreciated the bottle of wine. It was incredible to sit on the patio and see whales and sea lions. Very relaxing and enjoyable getaway!" "A thundering ocean, whales, and a bald eagle sighting. Who could ask for anything more? Clean, comfortable, a true home away from home. And the 365 piece, brain teaser jigsaw puzzle, was a fun added bonus." "The view of the ocean was great! Really wish we had rented it for more days. Very relaxing and quiet. The condo was well furnished. Can't wait to come back!" "Amazing experience. This is a beautiful condo with breathtaking views. After staying here I can think of no better name than "Ocean's Melody". I need to come back very soon!" 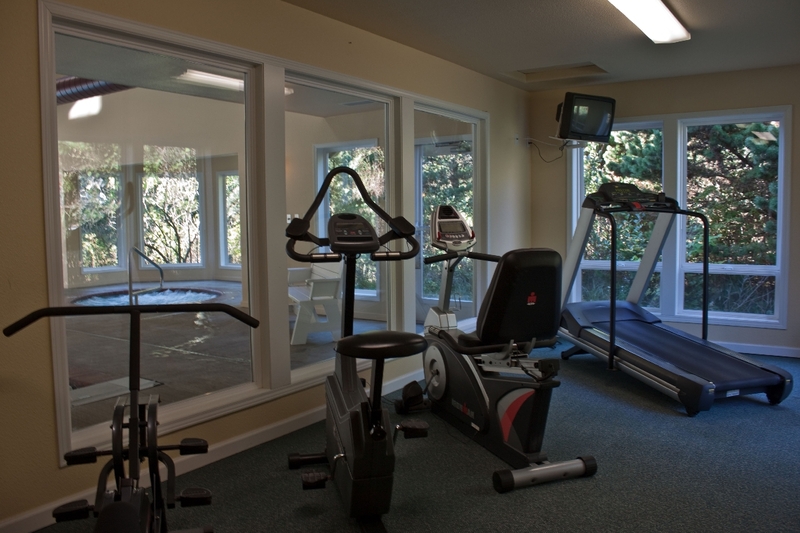 "Great for whale watching and storm watching the family enjoyed the facility, especially the pool and exercise room. Definitely planning a return trip." "This was a great place to bring my mother. 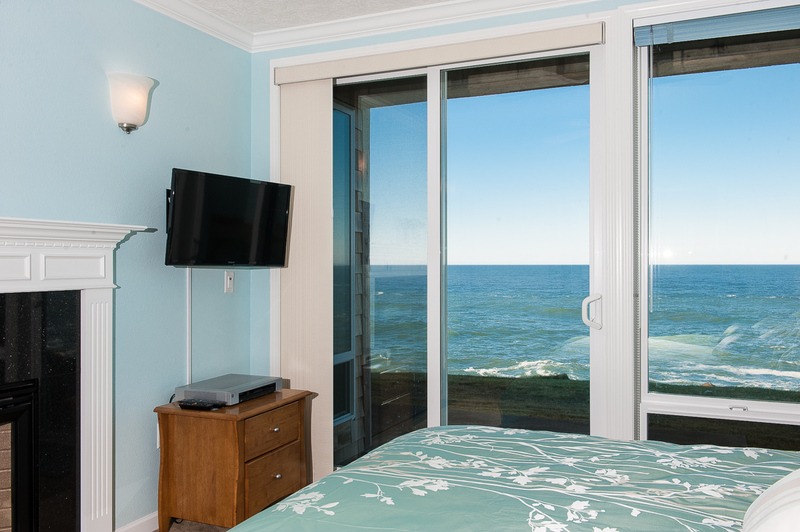 Between the amazing view of the surf crashing right out our window and the stylish and comfortable condo we couldn't have enjoyed it more"
"We thoroughly enjoyed the place we stayed and the view is fantastic. We had great weather the end of October and saw lots of whales about 1/4 mile out." "We really enjoyed our stay and Ocean's Melody. The home was ideal for our family of four. The second bedroom and bathroom was so nice for a stay of multiple days. Of course the home has everything you'd need for a stay at the beach. The view is fantastic." "Ocean's Melody was perfect. Beautifully decorated, very well equipped, terrific bed, good linens. An ideal whale-watching location, and the whales performed on schedule!" "Wonderful location and property, view was spectacular!" "The Condo is so close to the water that you can see Whales from the comfort of the living room. Many sightings over a weekend. Very clean with most every thing you might need." "We had a wonderful time with our girls (2-5 yr). The "Ocean's Melody" was a beautiful location. We loved that we were able to watch the whales swim past our patio everyday. It was so relaxing listening to the waves hit the rocks day and night. The condo itself was amazing. 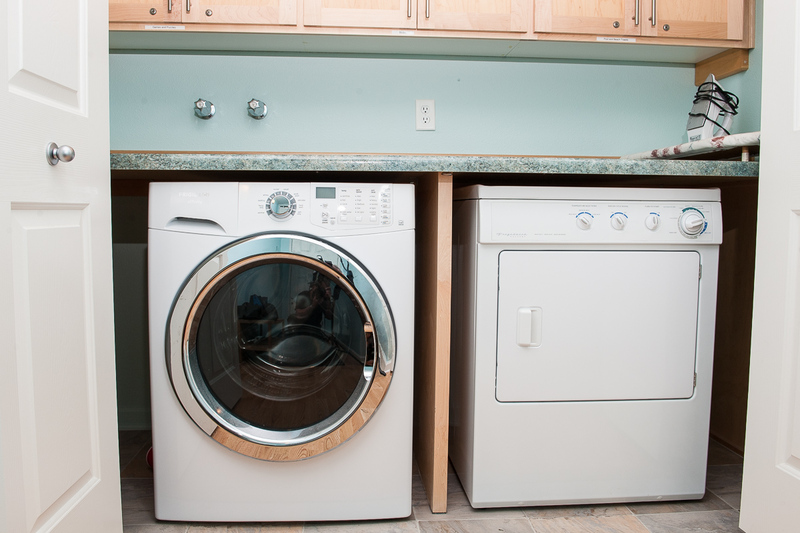 Very clean and had all the amenities that we needed, right down to the laundry detergent! They even had little stuffed animals in the 2nd bedroom that my girls spotted right away. That was a nice touch." "the vacation rental Oceans Melody was everything and more! Everyday we saw whales and many of them! In the early mornings we also got to see the fisherman going out in all there boats! It was an amazing location to drive up and down the coast! The food was amazing we went many times to Newport, depose Bay and even up the coast to Sea Side! We look forward to coming back many more years! Thanks again awesome home!" "This was truly a dream come true! The pictures are accurate and the condo is super clean. The view was awesome and listening to the whales that were just 30' out was delightful." "Spent three nights with two of my daughters and one of my grandchildren. Suited each of us perfectly. No one wanted to leave. In fact we were originally booked for two nights and were only sorry that there was only one additional night that we could add on. There was very little that the owners/housekeeping staff didn't provide - way more than we expected. I picked Ocean's Melody at North Pointe because I've been a guest at the WorldMark condos next door and knew the views would be incredible, which, of course, they were. The Condo is nicely laid out. Loved the wall color. My kitchen at home is very small. I took several photos of the kitchen in Ocean's Melody. Excellent use of space." "The condo was very cozy and clean. The view was amazing... So peaceful all around. We really enjoyed our stay." "Myself, my wife, daughter, and grand-daughter spent 2 nights at this amazing condo right next to the water in Depoe Bay. Beautiful scenery, fantastic pool, very clean, and exceptionally accommodating staff re: requests for modifications for cleaning due to allergies. We enjoyed every minute of our stay here. 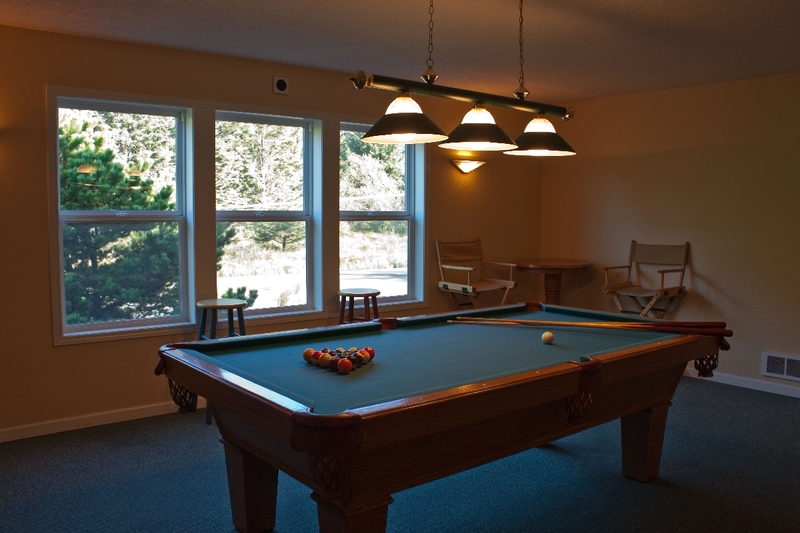 Condos, clubhouse, and pool all kept in excellent shape." Beautiful view. Club house with pool was a added bonus. Loved it. Brenda and Ken from Lebanon"
"Loved this rental! Quality features throughout, excellent views! Master with ocean views, double sided fireplace for living room and master. Kitchen was stocked better than many homes. We will be back as the location was perfect and the quality of the home was worth it! Keystone was easy to work with and responsive. Absolutely will recommend to others!" "Marvelous place to stay--beautiful and very well equipped unit. (we did not use BBQ or the smoothie maker) Extremely clean and well maintained." "We had a few days to spend at the coast while it stormed outside. Everything was ideal for a quiet, relaxing visit with me sister and an old friend. We've decided to make it an annual visit. Loved this unit! Everything you need is supplied!" "What a nice play to get away with the family for a few days! Well equipped, comfortable beds, and great views made our stay exceptional." "We had a wonderful time. Our accommodations were clean, beautiful, and well stocked, with a view that was second to none. The only thing that we could have used more of was time. Thank you!" "We have rented eleven different homes on the Central OR coast over the years, and this one tops them all. The view was amazing, the home was clean and nicely furnished, especially the kitchen. Comfy beds, nice linens, the Pacific roaring just feet from our patio door...What more can I say?" "The condo was spotless and very nicely furnished. The waves crashing on the qrocks and the whale watching was breathtaking. The kitchen had all we needed. Very conveniently located." "Ocean's Melody was lovely; it was exactly as described and as shown in the pictures. It was very clean and just lovely. We saw whales from the patio the first night we were there, and the star gazing is lovely. It's so close to a number of beautiful beaches. We went to the Chowder bowl, and the sea hag, both had delicious food. It was a lovely stay. Everything was exactly as we hoped." "Just a perfect well equipped condo, clean, neat. PERFECT"
"It was the best ever. Our condo was like new, equipped with every thing we needed, and centrally located to good restaurants, theaters, beaches, galleries, shops, and stores. Our 5 days were much too short and wish we could have stayed longer." 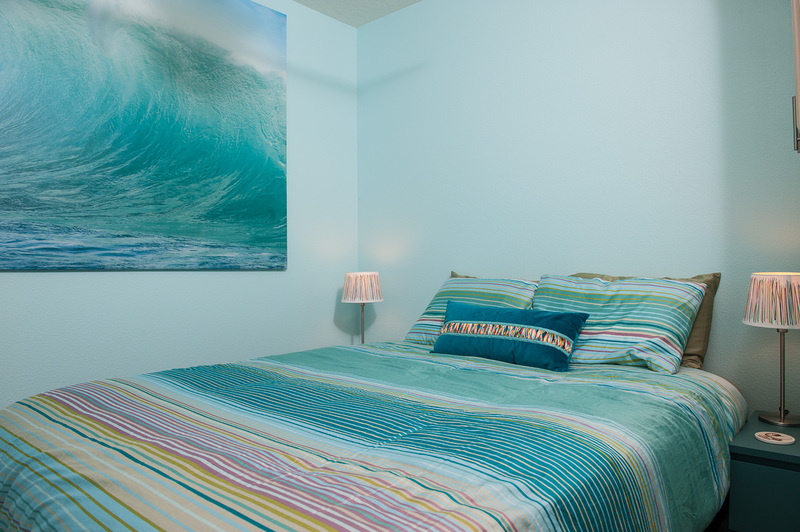 "This condomininium was spotless, comfortable and quiet. The beds were wonderful. Kitchen was wonderfully equipped, and we cooked fresh seafood several nights. The fireplace was lovely and we used it daily as the ambient temperatures were around 65 in the day and in the 50's at night! Having the washer and dryer in the unit was so convenient, as our two sons can definitely go through their clothing while playing on the beaches! Or while swimming in the condo unit's indoor pool, which was great! The rocks outside the front made me a little nervous, but once I explained to my children that they should stay back from the edge, they did so. And we even enjoyed sitting on them together several times to watch the whales and other sea life swim by! And we certainly loved the sound of the waves against the rocks! In fact, we saw whales from the patio of the condo every day, with and without the binoculars which were kindly supplied in the condo for use! We also booked a whale watching tour on a boat, but really, we saw these lovely creatures very well from the patio of Ocean's Melody. All in all, a fantastic vacation that we all loved. Everyone in our family wants to come back to Oregon to vacation, and my husband wants to move to the Depoe Bay area." "Pictures and description did not do this condo justice. It was everything they said it was plus some. The owners have thought of everything to make the stay perfect. We saw whales almost every day from the patio. The view was fantastic and the condo was more than expected. We immediately said that we would be staying there again. Best rental we have ever had by far." "A nice place to stay for Adults. Very clean with a lot of instructions to keep it that way. There is a full use kitchen for you to fix your own meals in your rental. It has a nice indoor pool, hot tub and pool table to use. We were lucky enough to see a young whale swim by just offshore two of the days, and also enjoyed the waves crashing in onshore during a small storm. 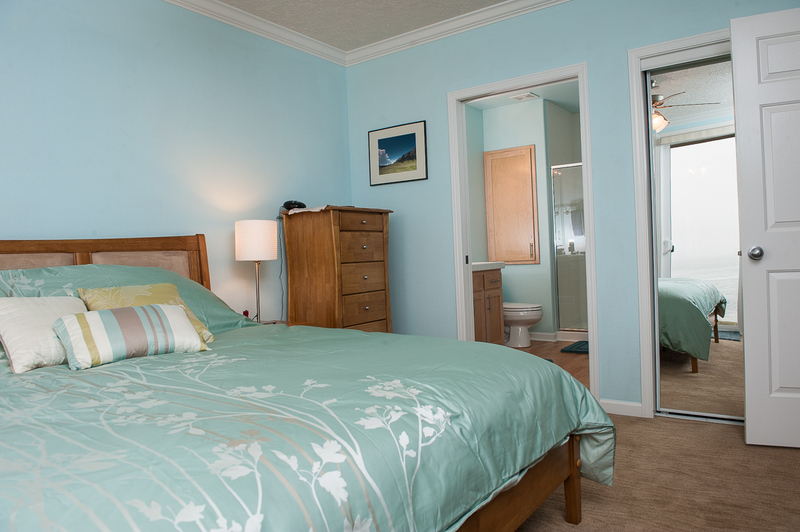 The Rental is a short distance from Depot Bay and not to far from the sandy beaches if you like to walk along to beach." "The condo was beautiful and the location just great. We fell to sleep each night with the sound of waves crashing the rocks. The ameneties were excellent. Highly recommend." Copyright © 2019 Keystone Vacations Oregon. All Rights Reserved.